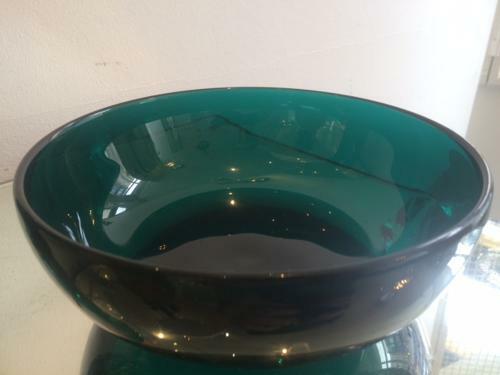 A petrol blue glass bowl by Holmegaard. Signed and dated 1961. Danish.